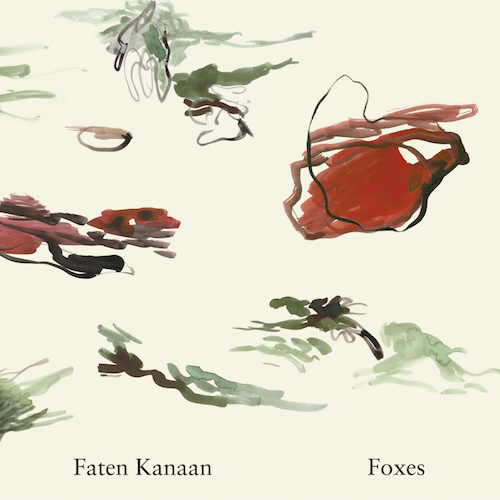 Foxes is the third full-length album from Brooklyn-based artist Faten Kanaan. The title is symbolic: an homage to the wild, untamed/unedited spirit. It's an album of uninhibited expression, a balance between playfulness and nuanced intentionality. Foxes is loosely inspired by early Surrealist automatism, made-up languages, Middle-Eastern Hakawati storytellers, and the minimalist poignancy of mimes. Here, Kanaan uses sound as an intuitive gesture to tell a wordless story. As the narrative unfolds, each composition becomes a distinct chapter: from the uneasy turbulence of Naufragium to the swelling crescendo and gear mechanics of time passing in Pendulum, the intimate pastoralism of Wildflowers, and the mischievous meanderings of the title track.